Another soup this week for no other reason than that it’s soup kind of weather. Granted, you can have soup anytime of the year. 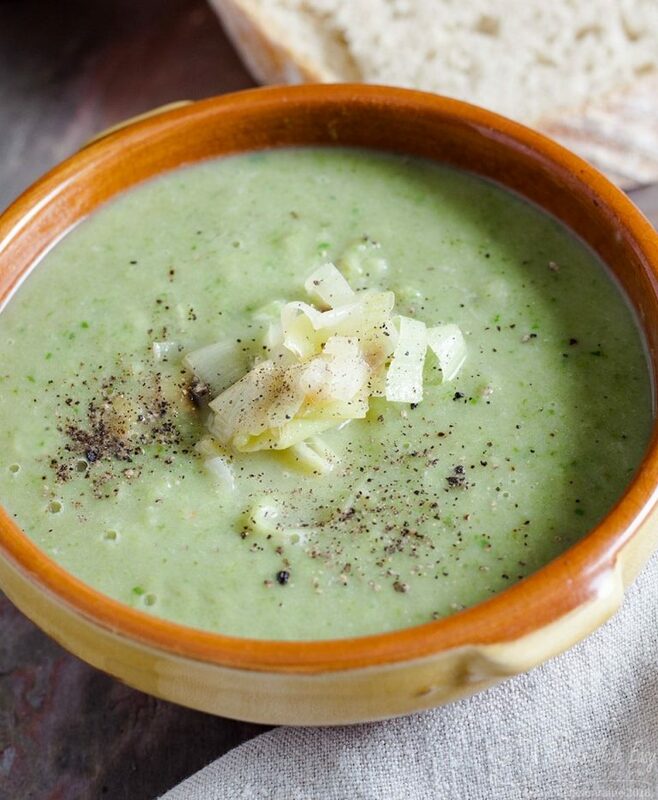 The pea and watercress soup I posted earlier in the week is a case in point. Equally delicious served hot in the winter and cold in the summer. 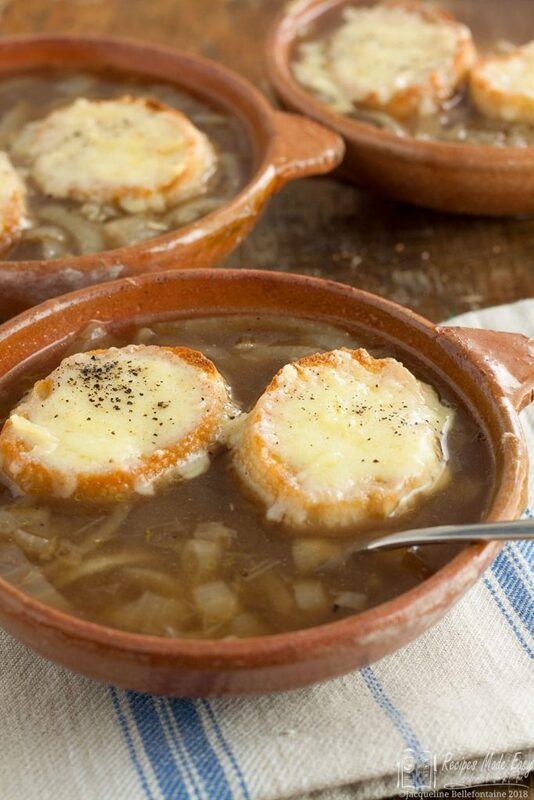 To me, January is the time of year when a bowl of hot soup is quite simply a welcome dish. 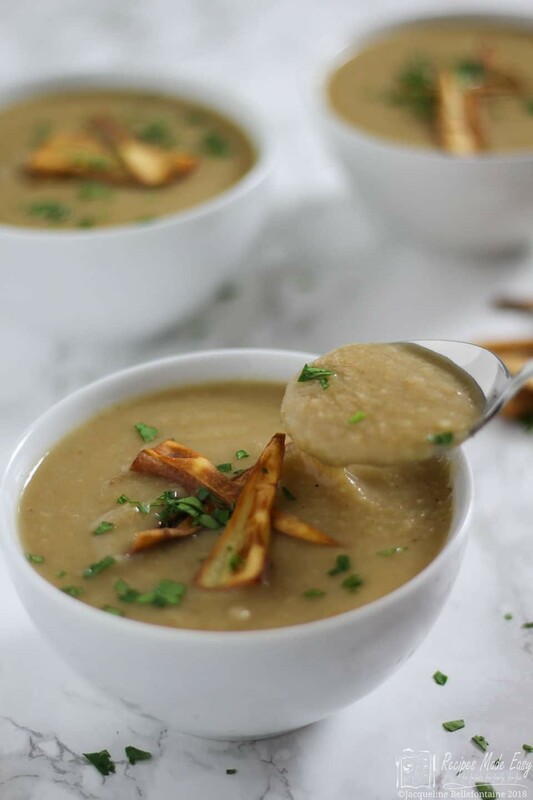 This roast parsnip soup is no exception. It has a rich creamy flavour even though there is no cream or even milk in the recipe and is surprisingly filling. For a soup that is really easy to make with just a few ingredients, the flavour is really intense and delicious. Roasting the parsnips really brings out their flavour and gives the soup its wonderful colour. I sometimes cook the parsnips when I have the oven on anyways for Sunday roast and then make the soup on the Monday. A quick and easy meal for a work night. It really is worth adding a garnish to soup. It turns an often rather plain looking dish into something much more visually appealing. Which is important since, as we all know, we eat with our eyes. It doesn’t have to be complicated, a simple swirl of cream or some chopped herbs is all it takes. If you want to go a little further, you could make croutons (fried cubes of bread) which not only add visual appeal but also some crunchy texture to the dish. For this soup I made a few parsnips crisps. They only take a little extra effort but, I think, really make this soup extra special. Cut the parsnips into quarters lengthways. Place on a roasting tray. Sprinkle with the oil and toss to coat. Roast for 30 minutes or until golden, turning once or twice. 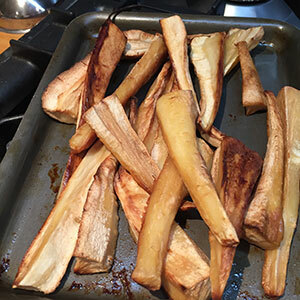 Place the roasted parsnips in a saucepan and add the stock. Bring to the boil, then reduce the heat and simmer for 20 minutes. Season with salt and pepper. Purée in a food processor or with a stick blender. Season to taste. Slice the parsnip very thinly lengthways using a potato peeler, so that you have long thin strips. 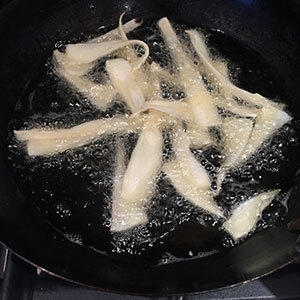 Heat the oil in a frying pan and fry until crisp and golden. 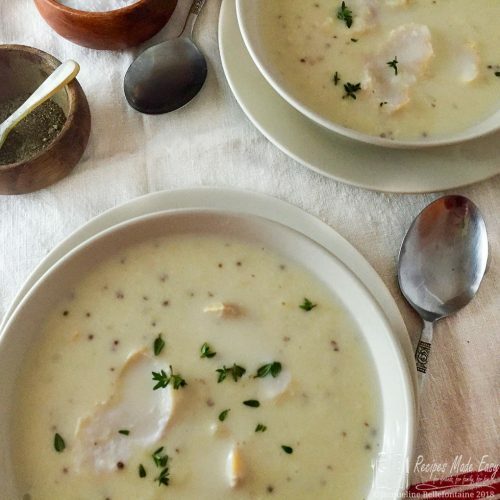 Season with sea salt and pile on top of the soup. Sprinkle with parsley and serve. Diced pancetta or some strips of streaky bacon, fried until crisp make a delicious garnish when serving to non vegetarians. Place the parsnips in a saucepan with the stock and simmer for 20 minutes. Purée until smooth. For the garnish, cut a small parsnip into thin slices lengthways with a potato peeler. Shallow fry until crisp and golden. 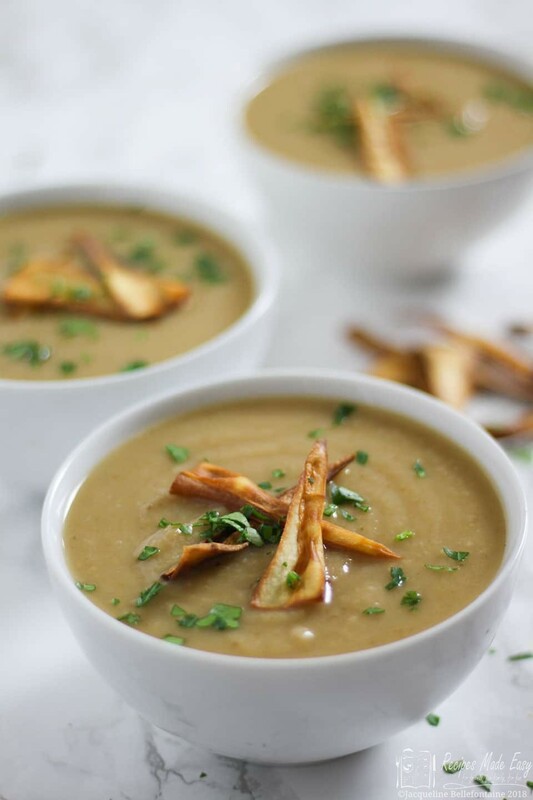 Serve the soup topped with the parsnip crisps sprinkled with parsley. Parsnip soup was lovely. I had it with some creme fraiche. Glad you enjoyed it Olga. I have some parsnips in my fridge now and was thinking of making it again. Thanks for reminding me. 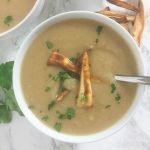 I love parsnip soup and I think garnishing it with some parsnip crisps is a brilliant idea too! Yes they are good. I guess you cheat and top with some veggie crips from a packet if you wanted to. Some Bramley added to this soup sounds delicious Im sure the tart taste would work well. I think the parsnip crisps make it!